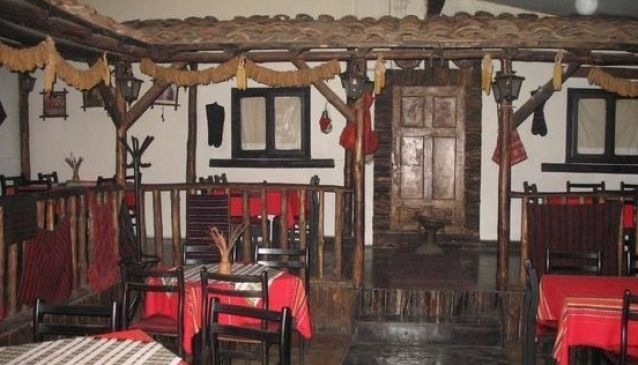 The traditional restaurant 'Makedonska Kuka' is one of the most authentic representations of the Macedonian spirit and traditions in the catering industry. Not just a restaurant, but also a museum with unique and priceless collections of souvenirs and ornaments, many centuries old, in traditional Macedonian structures which provide an ambient setting for any gathering. Original recipes, loyal to age-old Macedonian traditions, are part of the gourmet cuisine offered by this restaurant. While dining listen to selections of Macedonian traditional performed by national ensembles and supplemented by folk dancing groups.